Controversially, she ran a prison in Thailand where suspected al-Qaeda members were tortured by waterboarding in 2002. However, President Donald Trump has since spoken out in favour of the harsh interrogation of suspects. Ms Haspel, 61, has extensive overseas experience and has served as chief of station on several postings. Her career has brought her to the UK twice, where she acted as the chief of the London station, according to the New York Times. Her leadership positions in Washington include deputy director of the National Clandestine Service - the CIA agency that co-ordinates clandestine operations - and chief of staff for the director of the National Clandestine Service. Rising through the ranks, she was picked last year to be deputy to CIA director Mike Pompeo, despite criticism of her history in "black sites". At the time, Mr Pompeo described her as an "exemplary intelligence officer" with an "uncanny ability to get things done and to inspire those around her". She was picked as nominee for the top CIA job when President Trump named Mr Pompeo as Secretary of State to replace Rex Tillerson. In a statement, she said: "I am grateful to President Trump for the opportunity, and humbled by his confidence in me, to be nominated to be the next Director of the Central Intelligence Agency. If confirmed, I look forward to providing President Trump the outstanding intelligence support he has grown to expect during his first year in office." A return to dark practices? The White House shakeup has profound implications - and particularly for the CIA. The agency's work is conducted with nominal oversight, and many decisions hinge on the discretion of the director. This morning the president spoke approvingly of the acting director, Gina Haspel, pointing out that she's a woman in a high leadership position. As an intelligence officer, she was known for her harsh views: she ran a notorious black site in Thailand, a place where prisoners were waterboarded. She's now working for a president who's been ambivalent about the matter. He said in the past he wanted to bring back waterboarding. James Mattis, the defence secretary, convinced him otherwise. The president could change his mind again - if Ms Haspel and other intelligence officials said they believed it was necessary. In this way the US could return to its dark practices of black sites and brutal interrogations. Republican Richard Burr, chairman of the Senate Intelligence Committee, said he looked forward to supporting the nomination, saying she has "the right skill set, experience and judgement to lead one of our nation's most critical agencies". 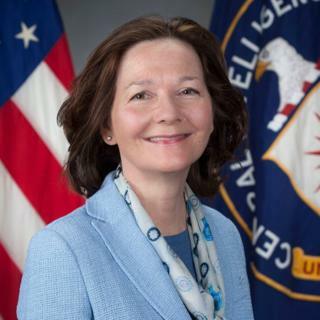 However, Democratic Senator Ron Wyden said her background made her unsuitable, adding: "If Ms Haspel seeks to serve at the highest levels of US intelligence, the government can no longer cover up disturbing facts from her past." Declassified CIA cables revealed Zubaydah was waterboarded 83 times in one month and had his head slammed into walls. He was also subjected to sleep deprivation and other harsh methods before interrogators decided he had no useful information to disclose, the documents said. Waterboarding is an interrogation process that causes the subject to experience the sensation of drowning. The subject is strapped to an angled board facing down and a cloth is placed over their mouth. Water is poured over the face, creating the feeling that the lungs are filling with water. Recordings of the interrogation sessions were later destroyed. According to the New York Times, Ms Haspel's name was on the cable that carried the destruction orders. Ms Haspel was later cleared of any wrongdoing and officials said she had been following orders in destroying the tapes. Human rights organisation Reprieve said the episode showed Ms Haspel was "not fit" to run the CIA. "This is another example of Donald Trump's backward-looking reliance on people and methods that have failed." director Maya Foa said in a statement.